Bed bugs commonly hide in mattresses, carpets, behind peeling paint or wallpaper and in crevices in wooden furniture (like in the cracks of the wooden headboard of a bed). Bugs are nocturnal and typically bite people while they sleep in an infested bed. Bugs are usually active just before dawn. Bed bugs travel surprisingly well and are quite comfortable stowing away in luggage and even clothing. The bugs are increasingly found hiding in beds, upholstered furniture and behind baseboards in urban hotels in America. Since they tend to stow away and travel with humans, any place that sees a number of world travelers is susceptible. 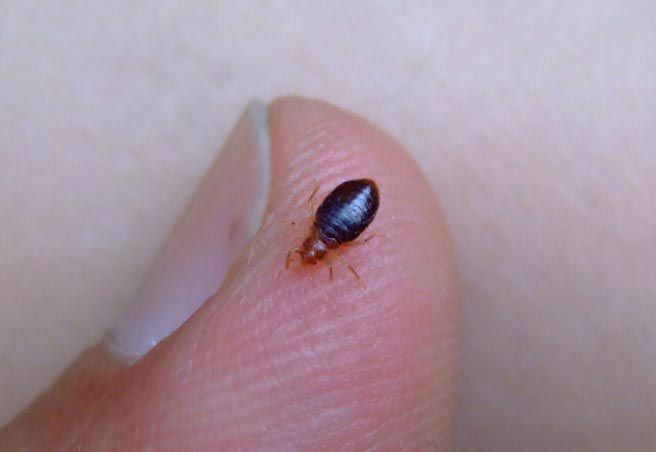 Pilots, wealthy people, and business travelers can bring bed bugs along unwittingly. Bed bugs are notoriously difficult to eradicate. They hide well and can go up to a year without feeding. However, it's important to rid your house of them as soon as possible, as they can breed and spread very quickly. Most pest control companies are equipped to handle bed bugs. There are a few home remedies you can also use to protect yourself, your clothes and your furniture.